Advertorials: Does The USA Today Ad Meter Work? This coming Sunday, the most important football game of the year will be played when the Green Bay Packers take on the Pittsburgh Steelers in Super Bowl XLV. But, that's not all that's happening on Sunday. In between masterful passes, catches, sacks, tackles, interceptions, and fumbles we will remain glued to the TV set. Why? To watch the advertising, of course. We will be treated to $3 million-for-30-seconds-of-fame ads that will bring tears to our eyes, make us chortle with laughter, and occasionally disappoint or even perplex us. Interestingly, the ads that air during the Super Bowl have become as much a superstar on game day as the athletes on the field. People will watch - and later rewatch online - the best ads, the worse ads, even the ads that were banned and never made it to the big screen. 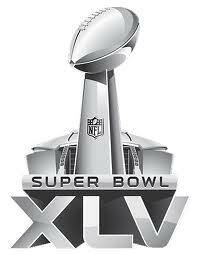 Super Bowl ads have become big business in the United States. In fact, according to a study conducted by Grand Rapids advertising and branding agency, Hanon McKendry, 54% of people watch the big game for the advertising rather than the football. After the Lombardi trophy has found its way to a new home, leaving some fans elated and others totally dejected, we will turn to USA Today on Monday morning to find out which ads made the Top Ten list based on their annual Ad Meter survey; a survey that has become a legend unto itself. So, just how does USA Today's Ad Meter work? Each year, USA Today prerecruits 300 Americans who are representative of the U.S. population to participate in their survey. They provide each with a hand-held device that they are asked to use while watching commercials during the Super Bowl game. The device has a dial on it, which is initially set in a neutral position. When viewers watch an ad, they are asked to turn the dial to the right during parts of each ad they like and to the left during parts they don't like. The farther they turn the dial, the more intense their feelings. Once the game is completed, the average scores for each ad are tabulated; then the ads are ranked. The result is USA Today's Top 10 ranked Super Bowl ads. But, the $3 million question is this: Does this score positively correlate to sales? In other words, are the most-liked ads more likely to increase sales? Well, according to Philip Herr's commentary in Advertising Age on 1/28/11, the simple answer is no. It is point 5 that brings us back to the USA Today Ad Meter. The Millward Brown study clearly showed that while likability is necessary to be a top-rated ad, it is not enough - in and of itself - to generate sales. The Ad Meter is fun to look at and to comment on, but it doesn't ensure that the brand will ring up more sales. Note: Starting Monday, February 7, I will critique the #10 ad on the USA Today list. Each day, I will comment on a new ad, wrapping up with the #1 highest rated ad on Wednesday, February 16.